Aaron Krueger was a regular at the 2-Hip and B.S. contests, and between 1992 and 1994 he consistently placed in the top 5 of the beginner, and then intermediate class, of every contest he attended. Not an easy thing to do. Anyway, here is one of San Diego’s low-key shredders getting down 90s style on some ramps, street, and dirt. Check it out! 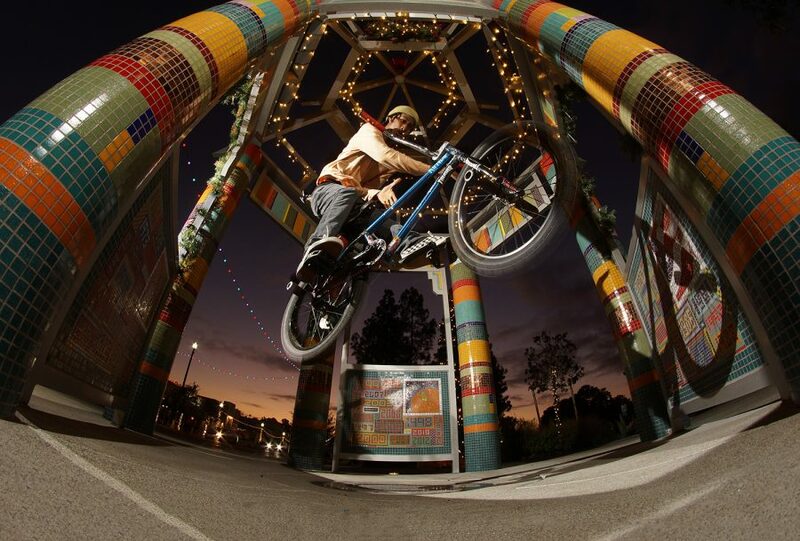 San Diego has always had a pretty thriving BMX scene. Even during the so called “lean years” of the early 90s, the Dirt Bros kept the riding scene in San Diego strong. Today we begin posting sections from 1994’s Dirt Bros Cheese, by Fred Ansfield. Riders include: Sean Yarrol, Vic Murphy, Manuel De La Cruz, Brad Blanchard, Ronnie Farmer, Dana Czeck, Ken Hale, Chad Herrington, Dave Young, Tony Skojack, Aaron Krueger, Eddie Roman, and plenty more. (* Note: The audio in the first part of the video is off because of youtube gremlins.) Check it out!! This video has lots of Daniel Randall destroying everything he came across! First pedal feeble down a rail is in this to. Featured riders are Daniel Randall, Ben King, Andy Merrall, Matt Puorro, Stoner Andy, Ben Ward, Rich Hirsch, Austin Hemler, Brennan Britton, Eric Walter, Bruce Crisman, Ben McEwen, John Bristol, & Jeremy Croft. This one took a few tries. Between waiting for the Christmas lights to turn on, trying to capture the last possible moment of the sunset, and some guy on a Gizmo-Duck unicycle getting in the way, I must have had Dominique Harris throw the bars a dozen times. Thankfully, Dominique was down for the cause, and we walked away with a photo that I had been wanting to shoot for a very long time. Today we finally decided to post up the full video – Chasing the View off the Cliff. If you haven’t read about Tony Marion and this classic video, check out the article here. We’ve also posted up sections from Mat Hoffman, Chase Gouin, Dave Mirra, Dennis McCoy, Jay Miron, Luc-e. and more! Enjoy! I am so excited to post this up! I’m sure like most of you I have always loved the coverage of the first BS contest in Eddie Roman’s “Ride On” video. It was a ground breaking time in BMX and when Scott Hagnas told me he had went to the contest, filmed the whole thing & actually made it into a video that him and his friends could watch back in 92′ I knew I needed to get this online! It starts with Flatland, moves into this mini-ramp contest and then onto vert! So many legends in this video and so many different angles of iconic tricks you remember from ‘Ride On”. My favorite is when Psycho destroys that random dudes video camera & clips of Voelker riding the mini ramp! Big thanks to Scott Hagnas for making this back in the day and getting it in my hands so I can share it with all of you! Some of the riders featured are Chase Gouin, Steve Roy, Jesse Puente, Jason Brown, Bill Nitchke, Dennis Mccoy, Eben Krakau, Kevin Gutierrez, Jay Miron, Dave Mirra, Bob kohl, Matt Hoffman, Dave Brumlow, & Jason Davies. While attending film school at Orange Coast College my final project was to produce a documentary. At the time I was living with Kurt Rasmusson and riding a TON of pools. I pitched the idea to my professor to create a pool riding documentary and he gave me the green-light. The rest is history. Special thanks to all the riders, TEAM SHRALP, Shad Johnson, Rich Hirsch, and Lotek for helping get the movie made. – Dean Dickinson Take It Or Leave It is a BMX shralpumentary that leaps into the mind of a true pool rider. Fed up and pissed off with the current state of Southern California skatepark politics, these riders find an alternative terrain in the backyards of abandon wastelands. From seeking out crack infested neighborhoods to pumping out thousands of gallons of diseased water with pool pumps. Dedicated to Zane Levitt R.I.P. Dave Mavro just posted up this contest on his youtube page and it was nice to see a lot more of this contest. The Condor, Mirra, Rob Nolli, Jim Burgess, Dave Brumlow, Mark Murphy, Chad Degroot and just a a ton of legends kill it! Hit up Dave’s Youtube channel for more awesome stuff like this and subscribe to it!